When: Thursday, April 26, 2018, 8:00 - 9:15 a.m.
Join us! We are excited to meet each of our members and put a face to our membership! 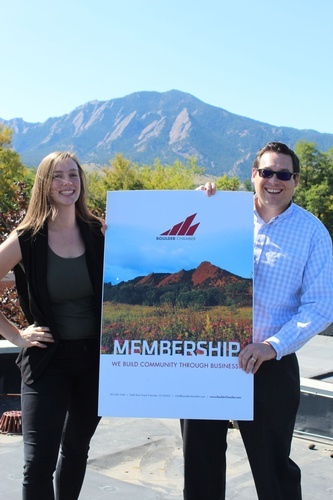 Member Orientation is a great time for you to connect with Boulder Chamber members, potential members, staff and our ambassadors. We provide a light breakfast and a brief overview of your Boulder Chamber membership benefits, plus our role in the greater context of Boulder's economy. Thursday, April 26, 2018, 8:00-9:15 a.m.